Going on an RV trip is an awesome way to escape the hustle of the city. 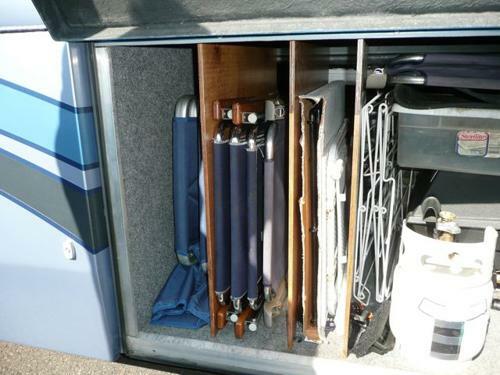 One of the biggest challenges for RVing is keeping your belongings organized, especially if your going with children. 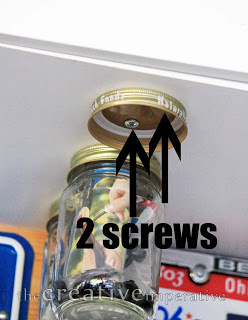 There are hundreds of storage ideas on the internet but a lot are not great. We picked thru hundreds of ideas and compiled the top 39. 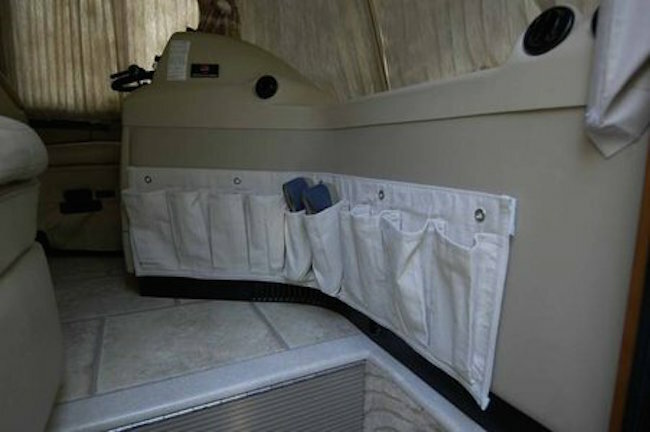 Here is a list of the top 39 storage ideas that will keep your RV nice and tidy. The reason I love these, is because with the see thru glass you can easily find all the little things that get lost so easily, without looking too hard. The entrance shoe storage is one of my favorite. 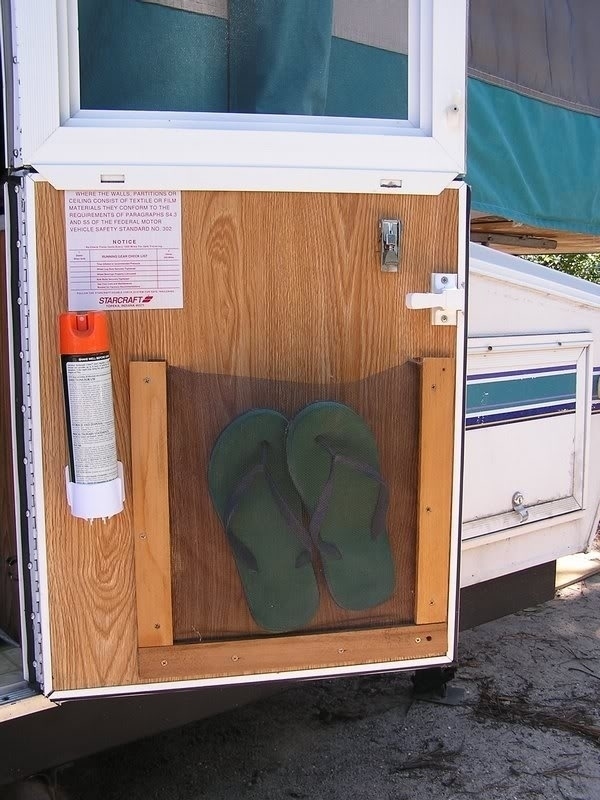 It might not be a huge deal if your travelling as a couple, but if you are going with kids this is so helpful in keeping everyone's shoes away from the entrance. Showers take up a fair amount of space, why not use that space for storing all your shampoo and shower accessories. This shoe storage is great if you are going for a longer trip and need to store away the shoes that you don't use on a regular basis like hiking or water shoes. Where is that remote?? A very common question that we hear not just at home but also when your traveling in your RV. 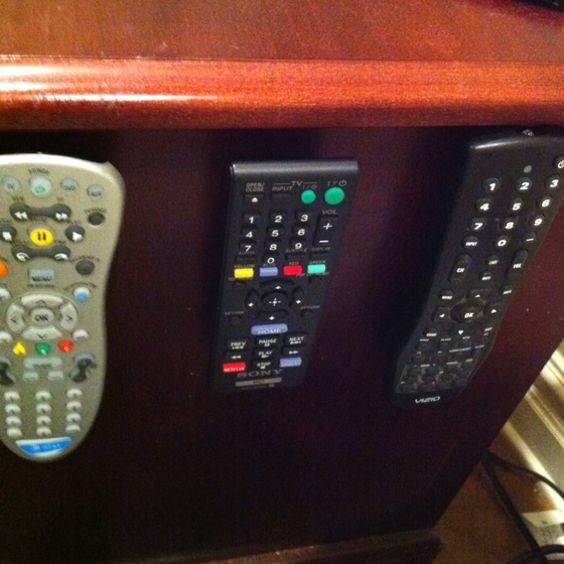 Just add some Velcro to your remotes and don't loose them again. Another great way to store away your shoes or flip flops. Also works great for a lot of other items like your Bug repellent or sun screen. 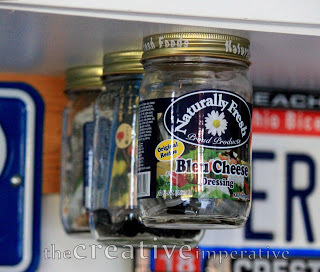 Not just a good way to keep the foil and plastic wrap organized in your RV but also works great in the kitchen pantry at home. The Collapsible Kettle is a good 2 in 1 kettle that also works as an outdoor camping kettle. Brooms, axes, umbrella's etc. 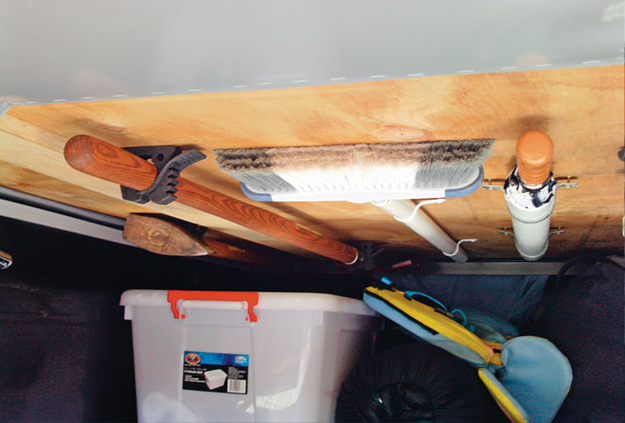 tend to take up a lot of space and clutter your RV storage. With these attachments all your gear will be nicely organized and is easily accessible. 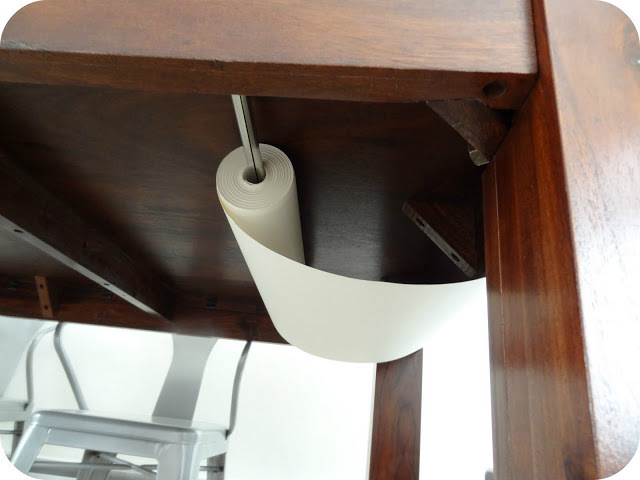 Keep those paper towels close by and out of the way, right under the table. Honestly, you would probably never make use of this space anyways. 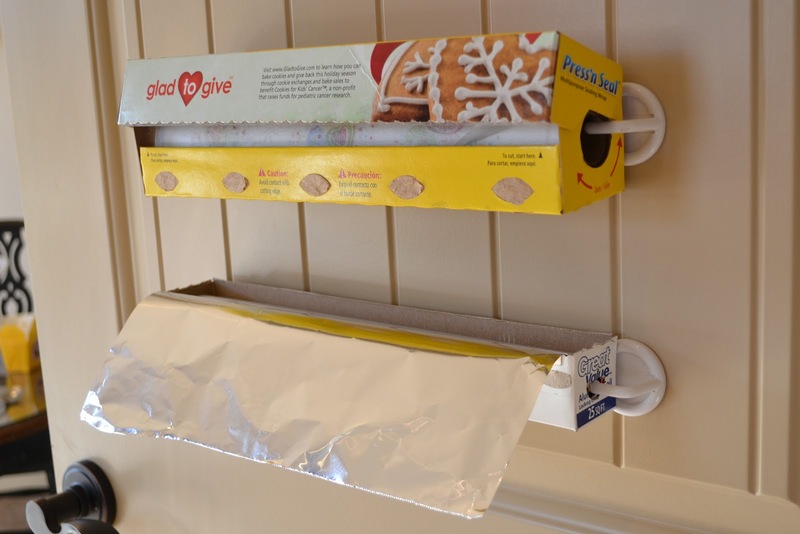 If you have some empty wall space in your kitchen, use these dry food dispensers to keep those large cereal boxes out of your kitchen cabinets. A handy place to store your paper plates if your are going on a short trip and don't want bring ceramic plates. 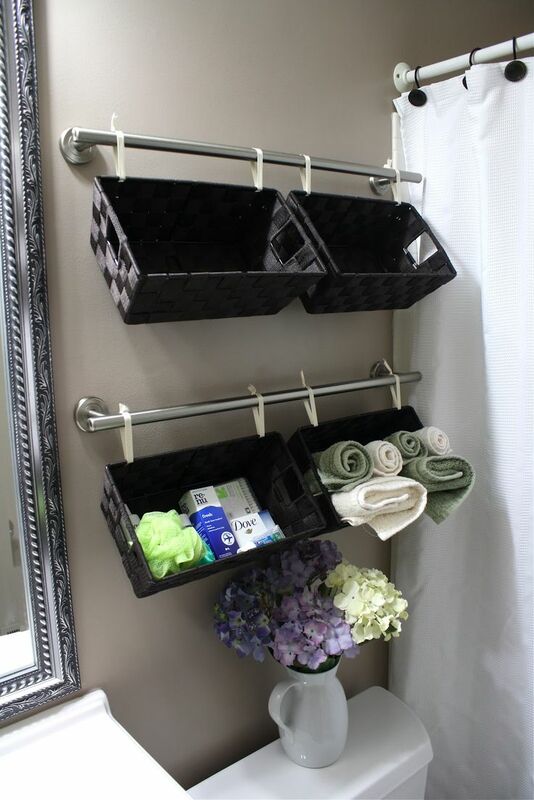 If you have extra towel racks, add these baskets to make good use of space in your bathroom. 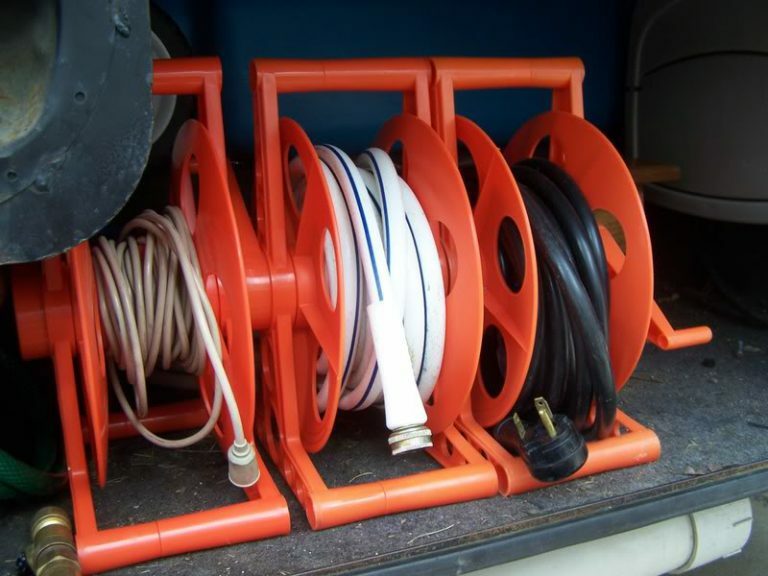 These hooks can be used throughout the RV. 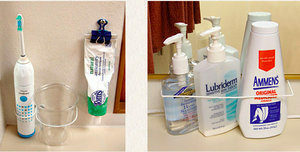 Bathroom Mirror, shower door, on your kitchen cabinets, bedroom window etc. 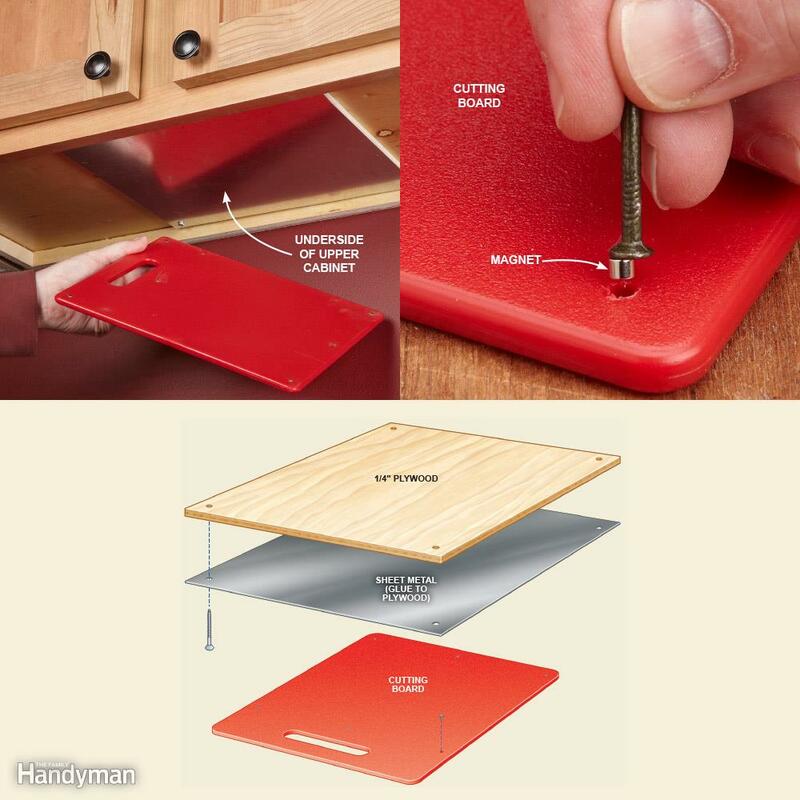 Cutting boards take up a lot of space, just add some magnets to them and keep them under your cabinets. Running out of room in your closet, just screw one of these wall mounted InstaHanger for some additional room. Just install one of these shampoo shower dispenser inside your shower, fill it up before you leave and you won't have to bring any shampoo with you. Just use an old coat hanger to custom fit for whatever you need. 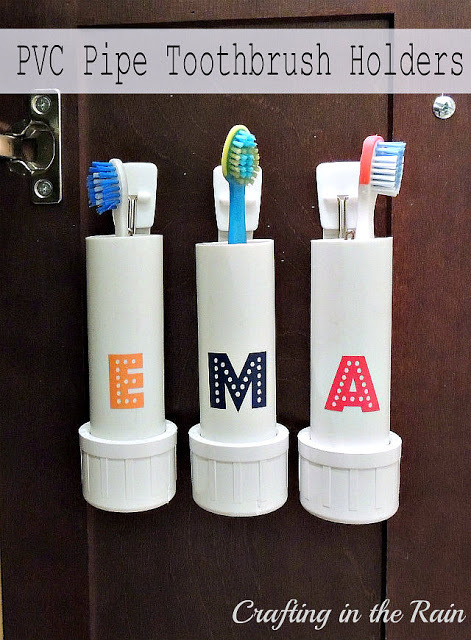 Easy project that will keep your belongings in one place. One of the most common items we loose is our keys, wallets, sun glasses and phones. 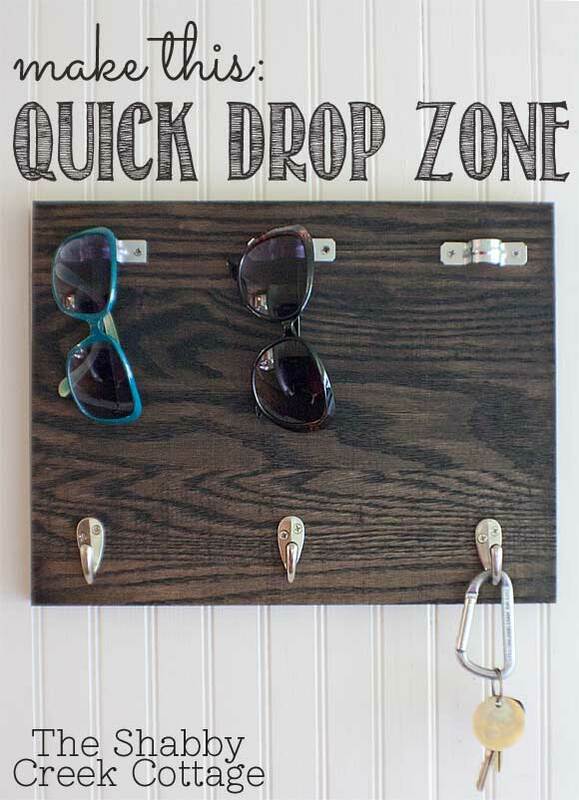 Build a quick drop zone as illustrated above to keep at least some these items easily visible and at one place. 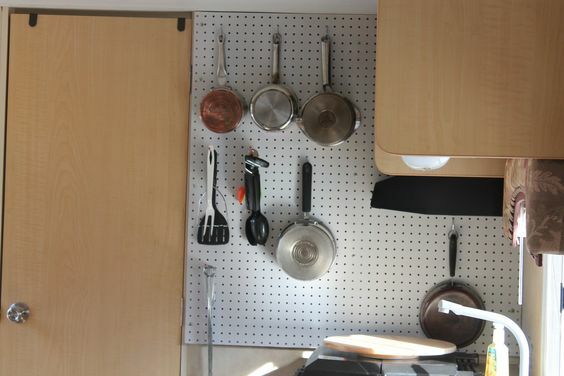 Who doesn't like saving space in your RV, any kitchenware that is collapsible is just an awesome idea for RV'ing. Just buy a few storage boxes from the dollar store and turn them over to keep your closet organized. These vacuum sealed storage bags work so great. They might not be the best option for everyday items but, if you need to bring items that you only need once or twice than the vacuum bags are ideal. For most people the space beside the toilet is probably not used. 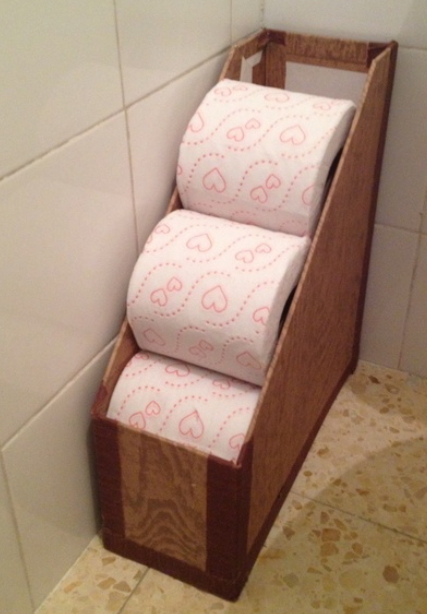 Make great use of it by storing all your toilet paper there. I just love this idea. 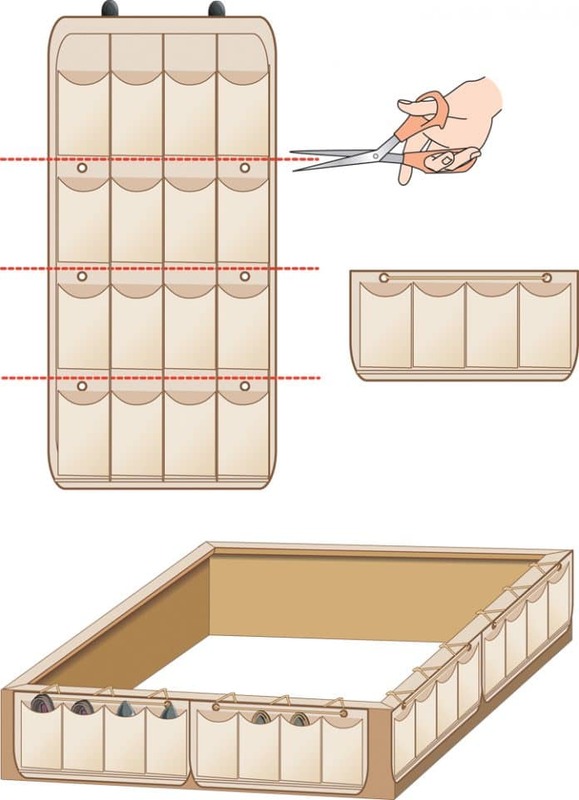 adding additional storage under your bed is just brilliant. This might not work for all RV's, I've had an old RV which had part of the water tank under the Bed. As mentioned previously with the kitchenware, anything that is collapsible works just great for RV'ing. 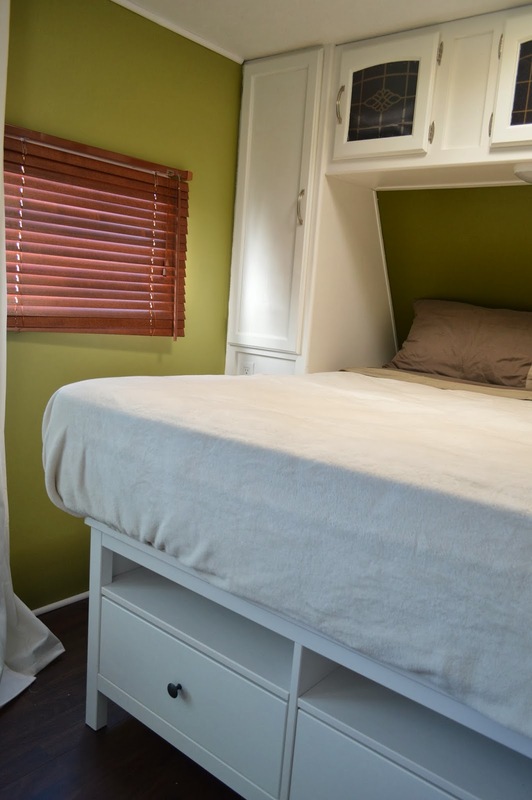 Customizing your RV Storage is super simple and keeps your belongings organized. Just use some plywood and cut to fit to your needs. Most RV's have limited counter top space in the kitchen, create more counter space by using one of these wooden portable counter blocks on top of the stove if not in use. Any type of Nesting Cookware will save you a ton of cabinet space in your kitchen. 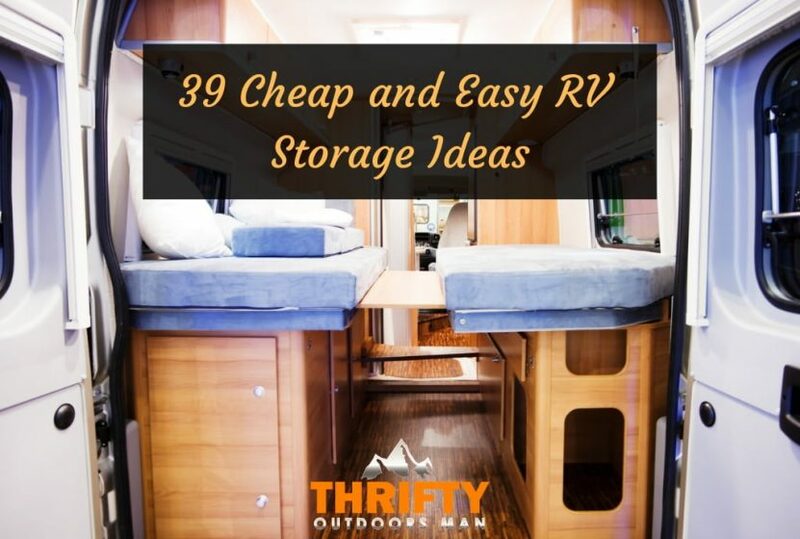 I hope you enjoyed our list of 39 Cheap and Easy RV Storage Ideas, if you have any other cool RV storage ideas feel free to leave a comment below or contact us directly. Grizzly Coolers vs Yeti: Which cooler is better?